It’s also a great piece of writing by Alex Garland actually. He got it absolutely right the way that scientists are taught to behave. The worst thing you can do in science is to guess. You’re taught and you’re trained as a research scientist to know exactly where the edge of your knowledge stops. And then you’re taught to enjoy going exploring the region that you don’t know. But you shouldn’t guess. You should never speak with authority if you don’t really know the answer. And that’s what he did there. I thought it was real insight for Alex to write that. It didn’t come from me, that, it came from Alex. Dr Brian Cox speaking on the scientific accuracies of the film Sunshine. 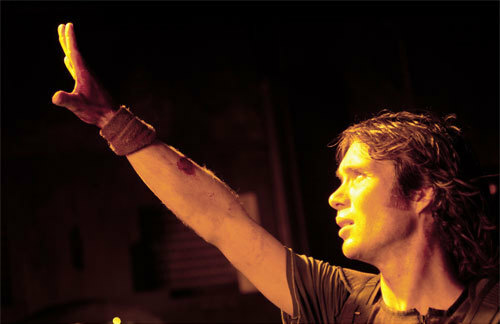 Cox explains in the DVD commentary how director Danny Boyle approached him to be a scientific adviser for the film. Cox says that most of the ideas in the movie are scientifically correct or theoretically probable, with only one or two minor errors. 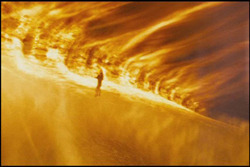 Cox says the biggest scientific stretch was actually the central premise of the film: Cox was told that the only thing they could not compromise about was the idea that the sun was dying. Cox discusses how this basic idea is scientifically incorrect. 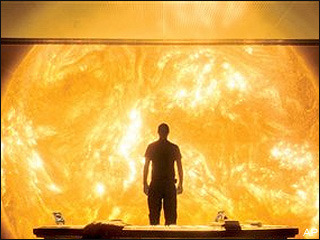 The sun is dying every day but it would take hundreds of millions of years for it to die out and it is unlikely to occur as it is described (vaguely) in the film. Cox had to figure out a way to make this scientific improbability somehow more-scientifically-viable. Cox decided to use the idea of the Q-ball, which is, theoretically, one of the substances that make up dark matter and it may have been part of the cause of the creation of the universe. Cox says the film balanced entertainment and science well. He points out all the behavioural traits that the actors mimicked from Cox and his colleagues. It’s a really great DVD commentary. I highly recommend it if you’re interested in science or if you’re interested in how films weave scientific theories into pop culture. Also, the quote above is just wonderful. My favourite line is this: And then you’re taught to enjoy going exploring the region that you don’t know. This is a dazzling way to summarise what it means to be a researcher.